Minister Haim Katz does not intend to automatically approve all the infrastructure works planned on the Israel Railways this coming Shabbat. Welfare and Social Services Minister Haim Katz (Likud) does not intend to automatically approve all the infrastructure works planned on the Israel Railways this coming Shabbat, sources in the ministry said Tuesday night, following a meeting on the issue. The sources added that Minister Katz plans to examine each program separately before deciding which ones to approve. Any work that cannot be postponed will likely be approved for this coming Shabbat, but other, non-urgent projects may be postponed, the sources added. 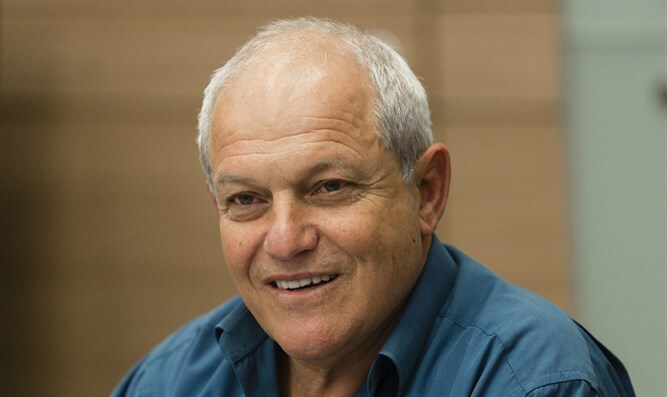 Earlier on Tuesday, the High Court issued an interim order barring the Prime Minister from intervening to prevent railroad work on Shabbat and ruling that only Minister Katz can make that decision. The interim order was given after a petition by MK Zehava Galon (Meretz) against Prime Minister Binyamin Netanyahu, Transportation Minister Yisrael Katz, Welfare and Social Services Minister Haim Katz and the Israel Railway Authority, demanding the cancellation of the decision to stop railroad works on Shabbat. The Welfare and Social Services Minister had decided already on Monday to take matters into his own hands and reexamine the Shabbat work permits provided by his ministry to employees of Israel Railways.